The following Web Tools allow individuals to create and share documents, spreadsheets, presentations, forms/surveys, drawings, maps, and notes. To add more functionality to your documents, spreadsheets, and forms, you can install add-ons, tools built by third-party developers for Google Docs, Sheets, and Forms. Once add-ons are installed, you can manage each one individually, and turn them on and off at any time. Once an add-on is installed, it’ll be listed in the “Add-ons” menu within all of your files of that file type. You can turn on the add-on in any of these files and other people working on the file will be able to see and use the add-on as well. Open a Google Doc, Sheet, or Form. Click the Add-ons menu and then Get add-ons. You can browse the entire add-ons store, or a particular category using the dropdown menu in the top-left corner. Hover over an add-on to see a short description or to quickly install it. To see a full description with ratings and user reviews, click the add-on. Click “+ Free” to install the add-on. For most add-ons, a message will appear requesting access to specific data that the add-on needs to work. Read this message carefully and click Accept. 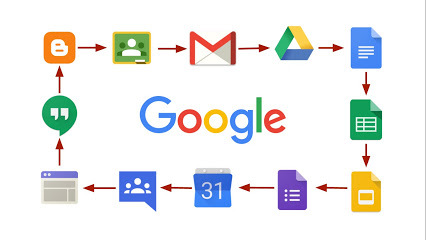 The following add-ons will enhance the functionality of your Google Docs. The following add-ons will enhance the functionality of your Google Forms. The following add-ons will enhance the functionality of your Google Sheets. Flubaroo - Quickly grade and analyze student performance on assignments. Google Chrome Extensions are small software programs that can modify and enhance the functionality of the Chrome browsers. Visit the Chrome Web Store. Find and select the extension that you want to install. Note: Some extensions might be blocked from being installed. A dialogue will appear to show you data that the extension will be able to access. Click Add to grant the extension access to your data and install the extension. To use the extension, click the icon that will appear on the right of the address bar. On your browser, click menu . On the extension that you want to remove, click Remove from Chrome . The following extensions will block advertisements from displaying on websites. The following extensions notify you of upcoming events or new emails. The following extensions will help manage and create unique passwords. The following extensions will improve the functionality of your Chrome browser. The following extensions will allow you to push web pages to other individuals. The following extensions allow you to capture all or part of your screen through a screenshot or video. The following extensions will allow you to quickly search websites. The following Web Tools allow individuals to create stories and play educational quiz games.